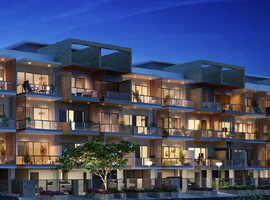 Sobha City Gurgaon – Where luxury life begins. “With traffic, air & sound pollution, crowd and suffocation, the life of big cities has lost its attraction and reaching the level of saturation. Time has come to leave off the mess & disorders and take deep breaths of relief and start a new way of living.” Sobha City, a 39 acres luxurious development is set in the middle of the tranquil territory of Sector 108 Gurgaon. A development where living finds a new way and starts a fresh new chapter in luxury living. There is an increasingly rising demand for luxury homes from NRI’s, IT professionals and leading businessmen in Delhi NCR. This project is heading for pleasing the expectations of every individual who dreams of living in a well-appointed life to the fullest. 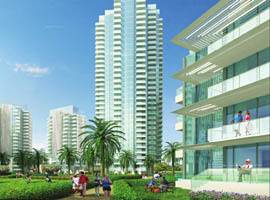 Sobha City has 1600 apartments in 25 towers with four apartments on each floor. Sobha City comes with a range of amenities like 85% open space, 2 club houses, cricket stadium as par with the standard of International Cricket, Swimming pool and many others that matches the pace and standard of living of today’s smart customers. Very high standard of structural design, construction pooled with inventive use of fine material, lifestyle services, lighting and high-tech security systems are used. This residential property is beautifully located at Sector 108, perfectly placed to satisfy all your instant and all-time requirements. The likeminded families living here become your immediate neighbors. A working 75m wide road leads your way to directly Dwarka Expressway, Delhi reserved greens as its boundaries will make both your morning & evening fresh.